Astron Sneaker Hunts: 126. 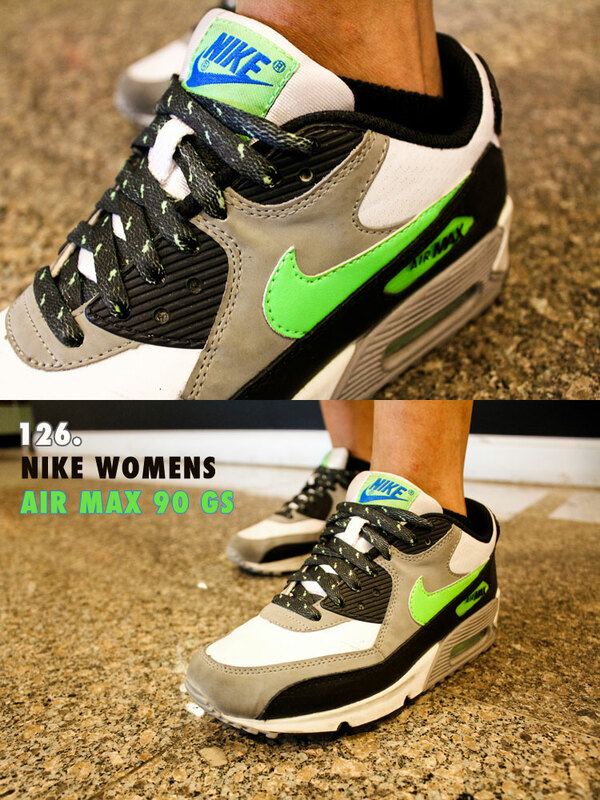 Nike Womens Air Max 90 GS "White/Neo Lime/Medium Grey/Black"
126. Nike Womens Air Max 90 GS "White/Neo Lime/Medium Grey/Black"